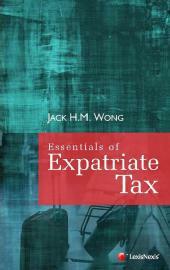 The LexisNexis Annotated Statutes of Singapore: Goods and Services Tax Act, 2015 Edition pulls together updated and convenient reference information from various sources inclusive of subsidiary legislation, court judgments, board of review decisions Inland Revenue Authority of Singapore circulars, all of which are relevant to the interpretation and application of provisions of the Act, inclusive of changes proposed in the Budget 2015. A section-by-section treatment of the Goods and Services Tax Act, this book pulls together updated and convenient reference information from various sources inclusive of subsidiary legislation, court judgments, board of review decisions Inland Revenue Authority of Singapore circulars, all of which are relevant to the interpretation and application of provisions of the Act, inclusive of changes proposed in the Budget 2015. The easy to refer to format means that readers will have quick access to commentary, related material and cases that are relevant to each section of the Act. Irving is currently a Director of Camford Law Corporation, representing corporate and individual clients in contentious and non-contentious tax matters across all tax types. Before joining Camford Law Corporation, Iriving was a Partner with Rajah & Tann LLP. Prior to that he spent more than seven years with the Inland Revenue Authority of Singapore Authority of Singapore where he regularly advised the Authority on tax matters and represented the Authority in tax appeals. Irving pursued his legal studies on an IRAS Undergraduate Scholarship. He obtained his LL.B. (Hons) from the London School of Economics and Political Science, where he was recipient of the Hughes Parry Prize, followed by his JD from Columbia Law School.